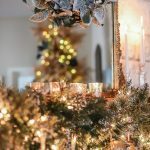 Welcome to our Christmas 2018 Holiday Home Tour! 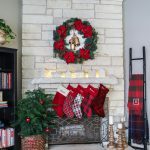 I’m joining a handful of my blogger friends as we share our homes all decked out for the holidays. 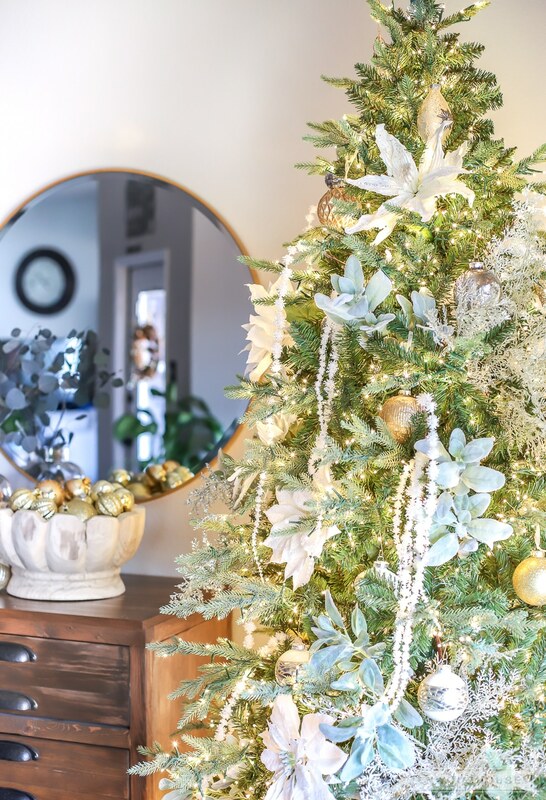 This Seasonal Simplicity home tour is going on all week, so be sure to visit the links at the end of this post. If you’re coming from Krista’s home, welcome! Thanks to Krista for organizing this tour. 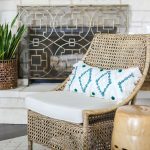 I enjoyed seeing all the changes she’s made in her home throughout the years! 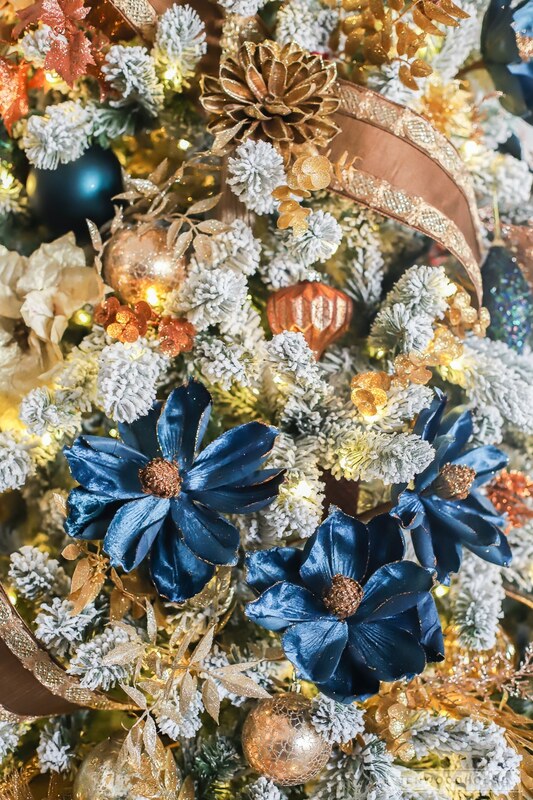 This year, I chose a navy blue, copper, and gold color scheme for our Christmas tree. I actually bought those navy blue magnolias last year and forgot I had them packed away in one of our storage units. So glad I remembered to use them this year! They were the jumping off point for this whole look. And, yes. You read that right. One of our storage units, which would imply we have more than one. Our sweet little family went on a bike ride yesterday. In shorts and t-shirts. Because it was 69 degrees. God, I’m going to miss these Texas winters. This will be our last Christmas here in the Lone Star State. Adam’s list of 161 possible duty stations came out last week and we have a month to sort through it all and rank them in order of our preference. Not to say the Army must take that into consideration. It’s our hope, of course, but ultimately, the Army will send us where the Army needs us. And so there we will go. Military life certainly has its ups and downs. This list of 161 possibilities literally runs the gamut – from Oregon to Florida, Germany to Egypt, we could end up anywhere in the world. It’s equal parts exciting and nerve-wracking. I’ve been glued to my realtor app for months, searching for homes in all the places, trying to understand what the living situations are like in different parts of the country. It’s about all I can do to prepare. It’s not all for naught, though. I am getting a better idea as to what we’re looking for in our next home. 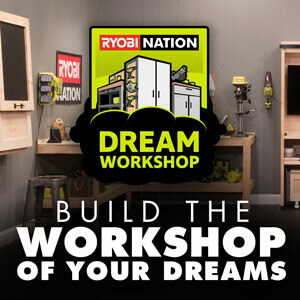 Not surprisingly, I’m more interested in what the workshop will be like, moreso that the actual house. I quickly swipe through the interior photos to get to the exterior shots. Does it have a 2-car garage plus an additional detached garage that I can turn into a workshop? And if doesn’t, is there land where I could possibly build a workshop? So many possibilities, so little time. We’re supposed to move this summer, but we usually don’t get official orders until a month or two before we have to move. The Army loves to keep us on our toes. Moving. That’ll be another adventure. The Army allows us a certain weight limit when we move and I’m pretty sure we’ve blown right through that limit. We had a yard sale right before we moved out of our house in Alabama and when we got here, we had another yard sale because as we were unpacking boxes, we were asking ourselves why the heck we moved this crap across state lines?! One time, our movers wrapped and packed the potpourri. As in, individually. 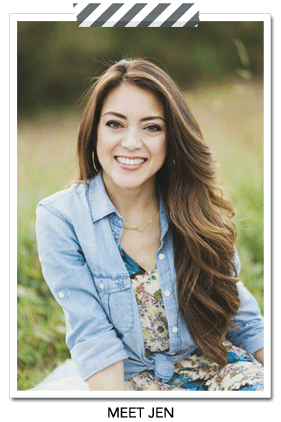 There are a lot of interesting moving stories we Army wives can tell. Movers have been known to pack the trash, if you don’t take it out. Just think what a treat that is to unpack weeks later. We can’t afford to be too precious with our belongings because they’re likely to get lost, stolen, or broken in our many moves. Totally fine, though. It just gives me an excuse to build more things. Which will likely end up in a storage unit. It’s a vicious cycle. But enough Army talk for now. 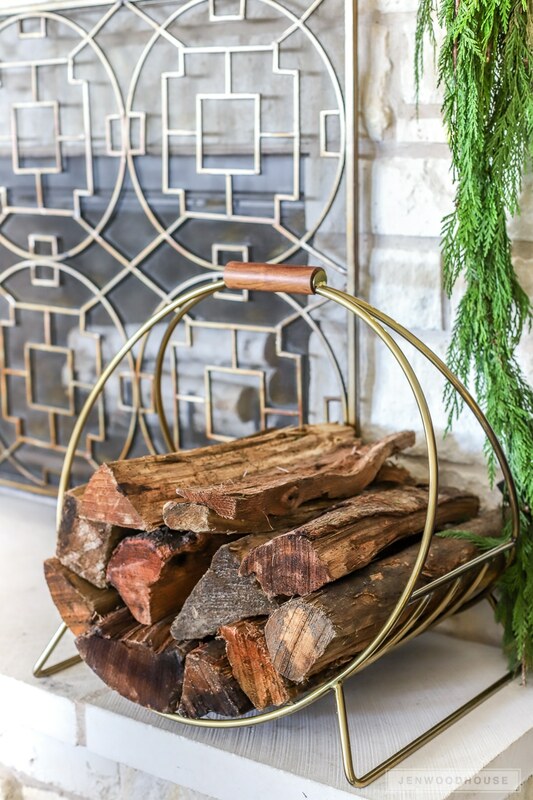 Let’s talk about this DIY wooden mantel. 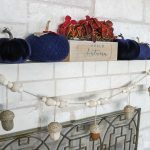 This Lampasas stone is really popular here in Texas and I wanted a bit more contrast for the fireplace so I built this temporary mantel. 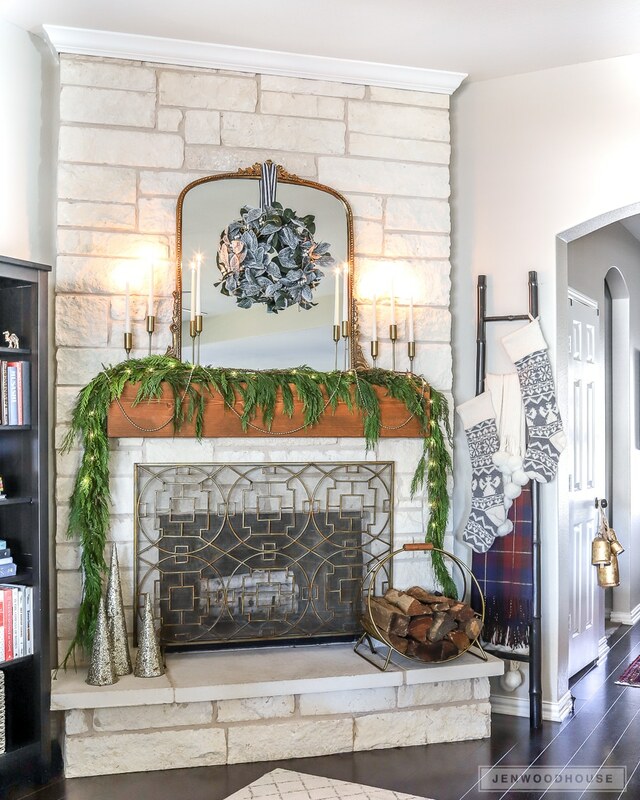 Because we’re renters, it’s not permanent – it slides on like a sleeve, over the existing mantel. I’ll have more details on how to build it next week. 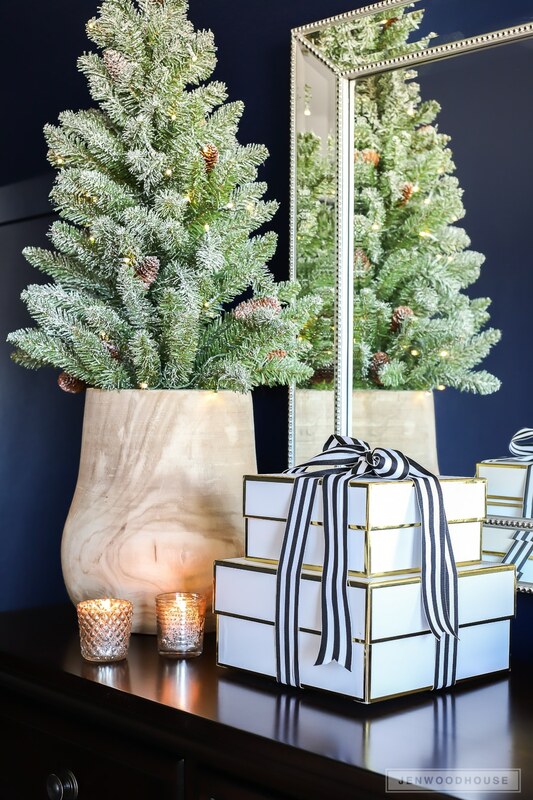 And you just can’t beat fresh cedar garland – there’s nothing quite like the real thing, amiright? 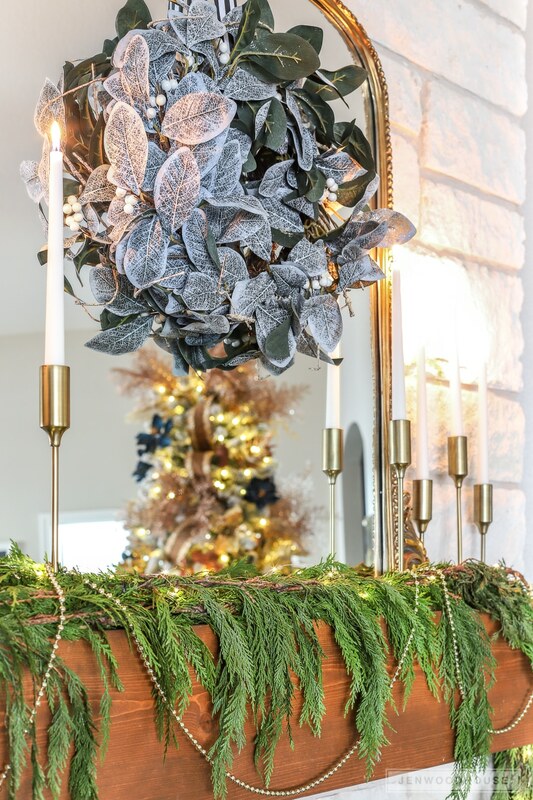 I love how it drapes so effortlessly over the mantel – and it makes your house smell like Christmas morning! 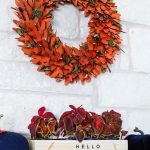 If you want to know how to make your fresh greenery last through the holiday season, you can read my tips here. Moving into the dining room… this is the first year we have more than one Christmas tree in the house and I’m feeling very fancy right now. 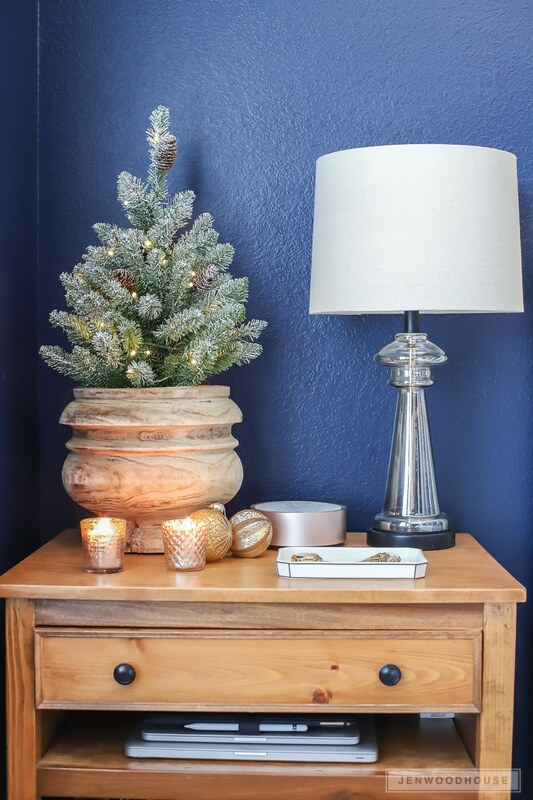 I just love all the clusters of tiny twinkling lights on this whimsical little tree – it makes dinner time especially magical. 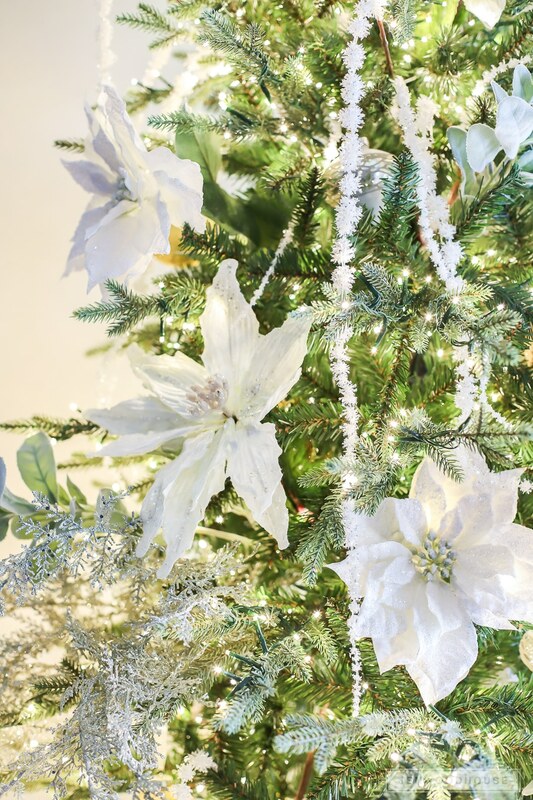 I placed the white poinsettias so that they cascade down the tree. 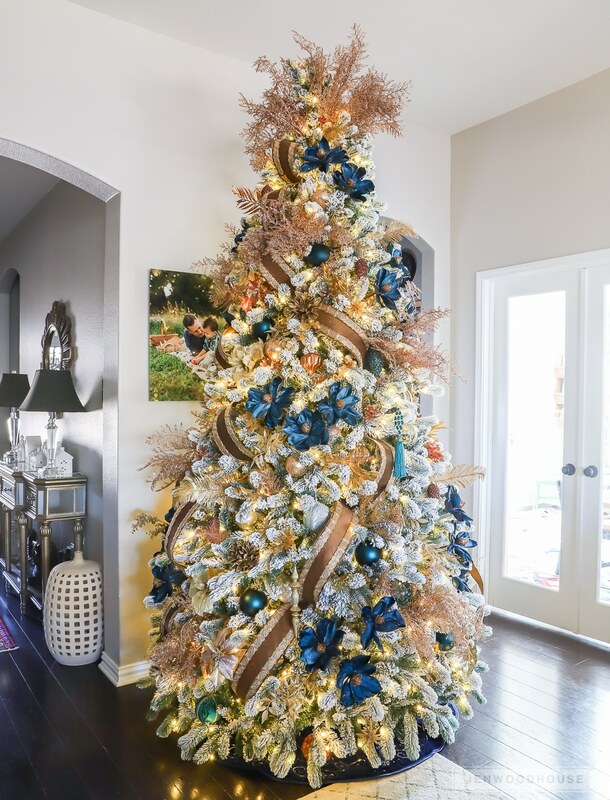 Large tree picks like these make it easy to decorate the tree because they take up a lot of visual space. And they’re super easy to place and remove when the time comes. It’s a win-win. 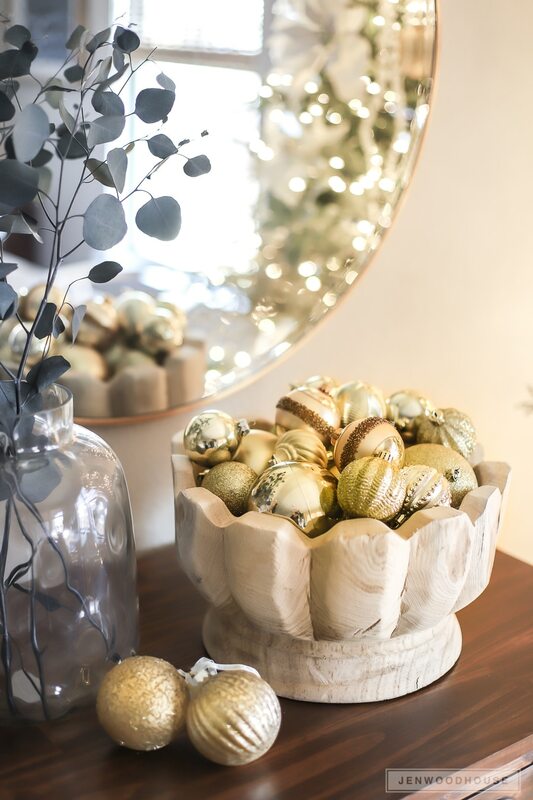 A few extra ornaments in a wood bowl and we’re calling it good. 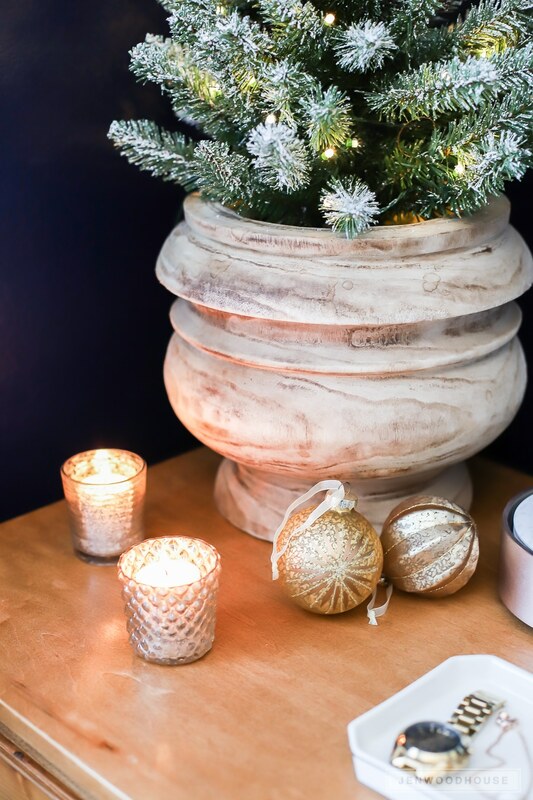 Decorating for the holidays doesn’t have to be complicated. Now let’s move onto the bedroom. 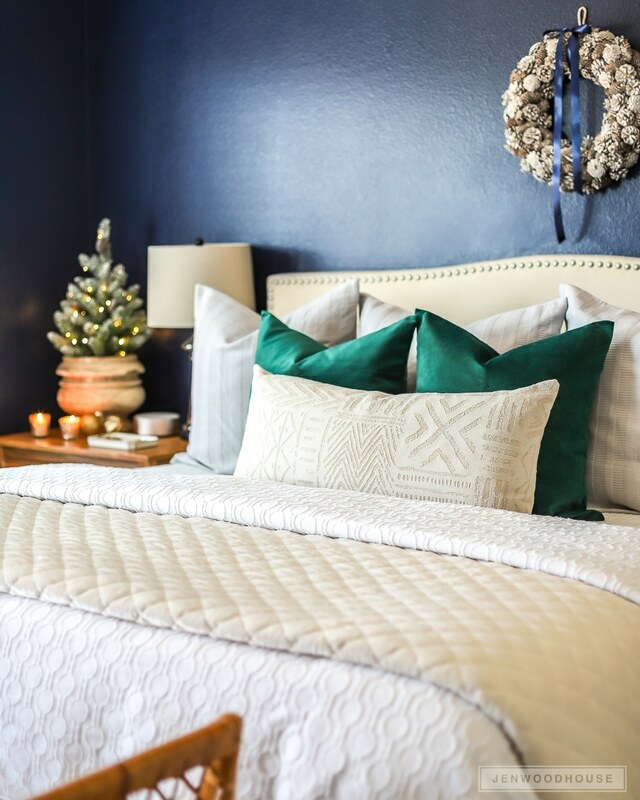 I added a couple of snow fir trees, hung a pinecone wreath, and switched out the pillow covers to make our bedroom a little more festive. Heavier blankets and soft velvet pillows make our room feel extra cozy. 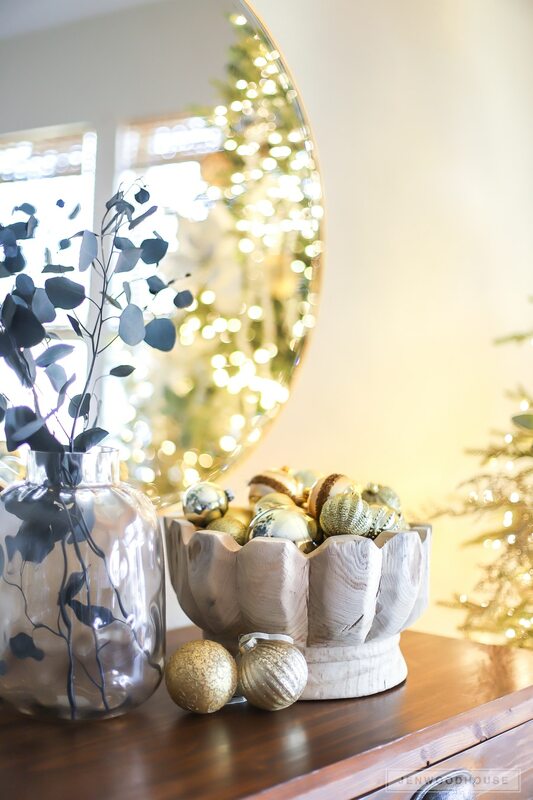 I hope you enjoyed taking a peek into our home, all decked out for the holidays. 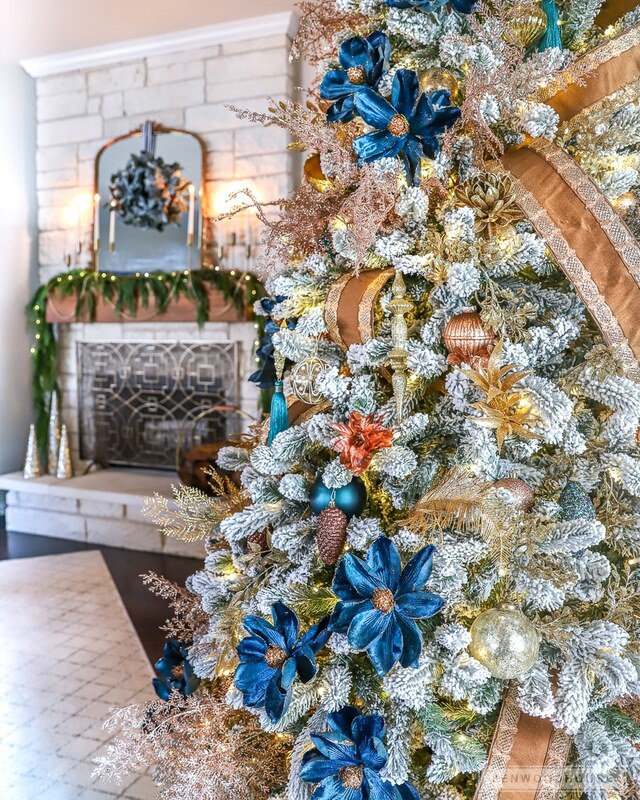 Now that all the Christmas decorating is done, it’s time to tackle our Christmas wish list. Whew! Thanks so much for joining me today! 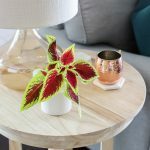 I’d love for you to follow me on Instagram if you aren’t already. The next stop on this tour is Inspiration For Moms. I’m wishing you a wonderful holiday season, a merry Christmas, and a happy New Year. 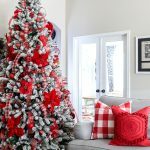 Hi Jen – Your home and tree look so festive. I bet the tree looks even more beautiful at night. I hope the Army moves you where you would like to go. Best of luck getting all your stuff packed. 🙂 My husband was in the Navy when we first were married. We moved quite a few times. On one move, one of the packers must of had Dyslexia as the contents of what was in each box was spelled backwards. Kitchen – was Nehctik We had a fun time figuring out what was in all the boxes he packed. Like you said….you can’t make this stuff up. The magnolias are such a beautiful shade of blue! I hope all goes well on your upcoming move with the military. Jen! It’s all sooooo beautiful! 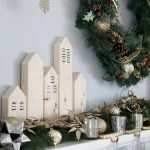 I can’t wait to see your tutorial on how to build that mantel too. It’s gorgeous! Your bedroom. Sigh. It’s stunning. Stopped me in my scrolling tracks! So glad to be a part of this little tour with you! Beautiful tree!!! 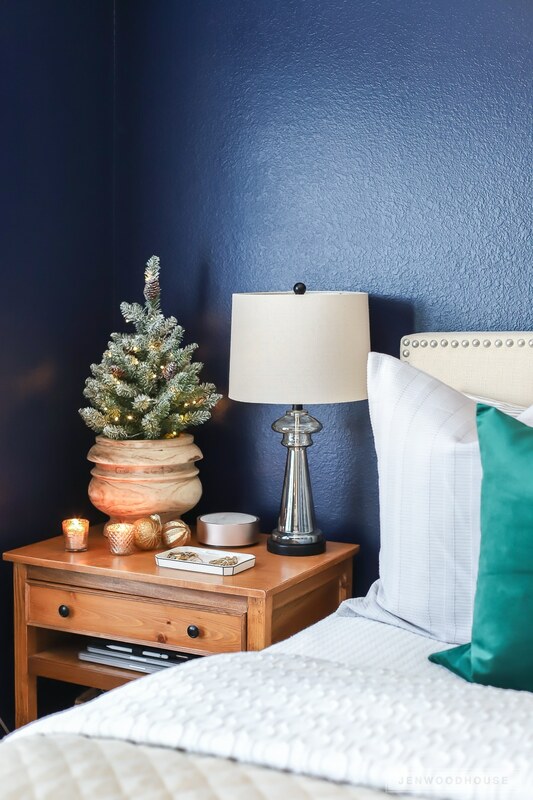 I love the pops of blue! omg your trees are stunning !! Wow, beautiful house tour Jen! 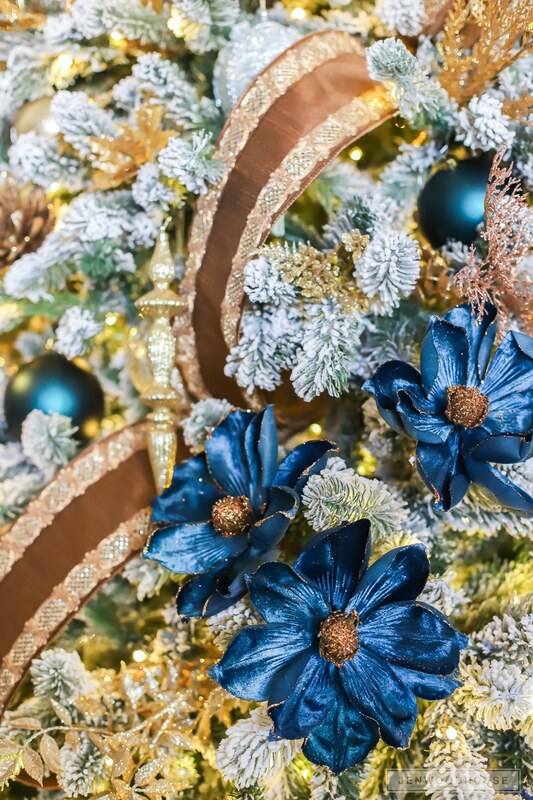 I love the pops of blue on your tree since blue is my absolute favourite colour. 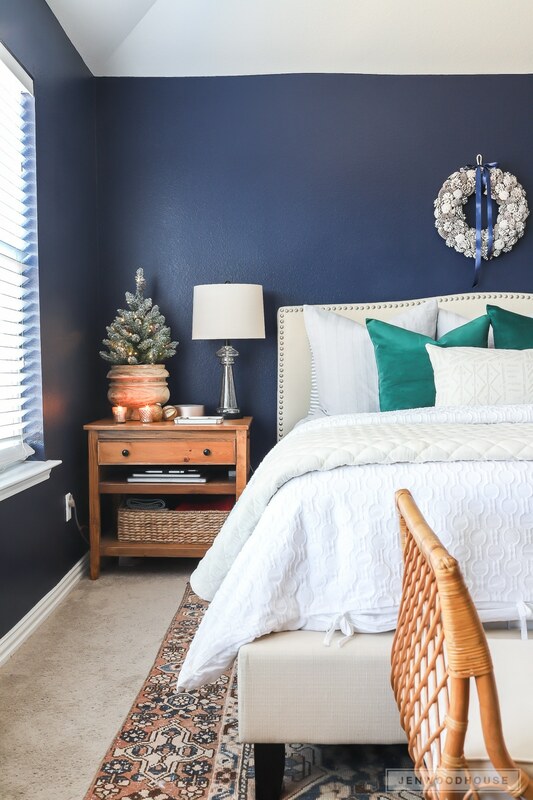 And of course you blue bedroom. Jen, your trees are GORGEOUS!!! 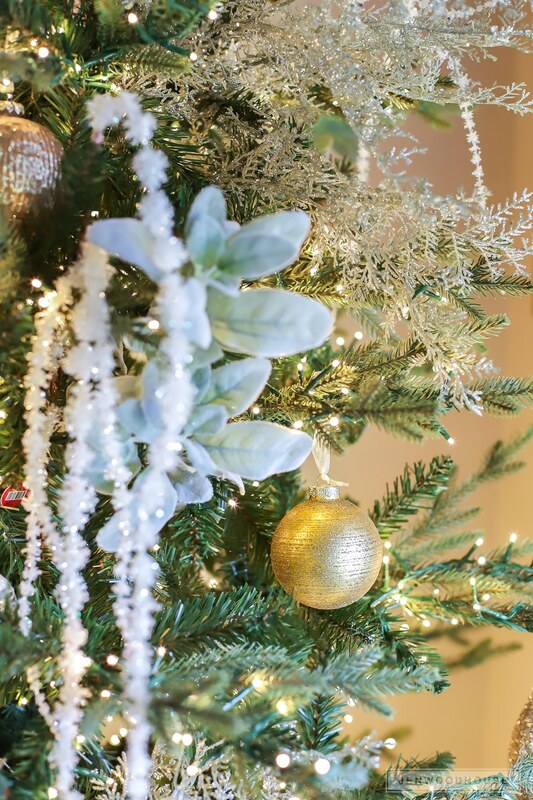 You are a tree-decorating master! I need to take notes for next year! 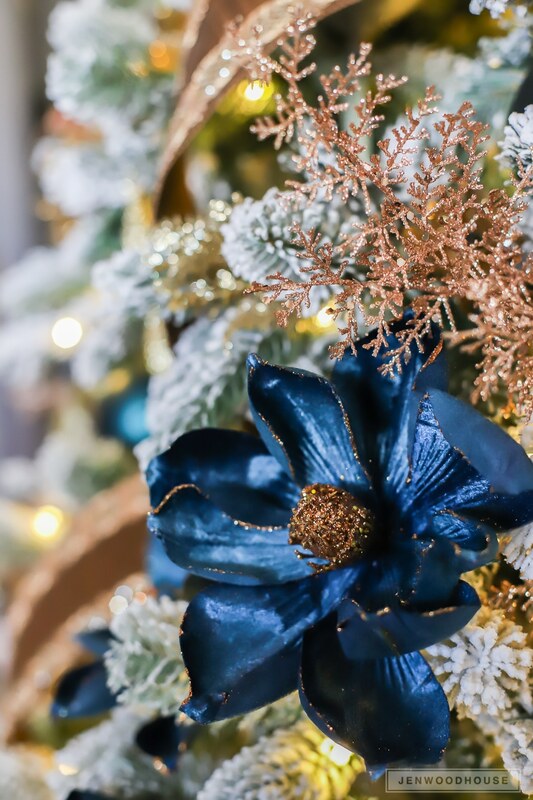 I love the blue and metallic accents! Gorgeous! Love love love that tree. Is it real or artificial? What a beautiful tour! 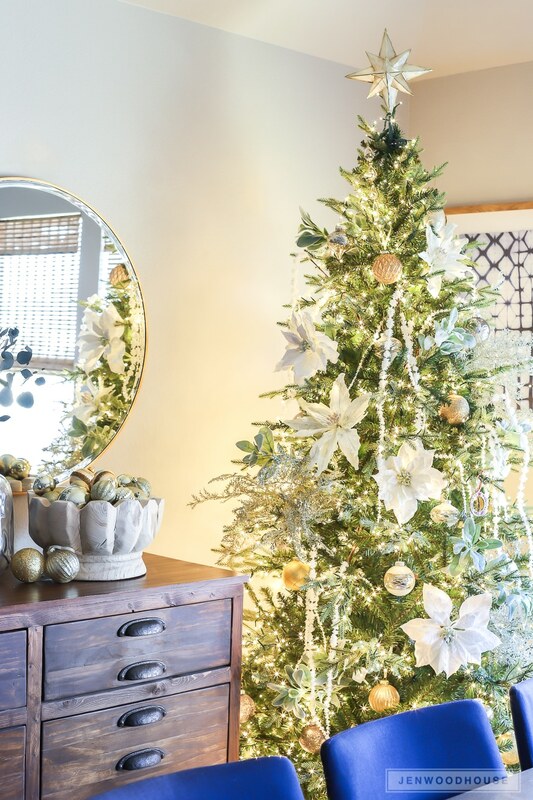 I love how unified your Christmas home tour looks! How fun that we both used magnolias this year! !